F E L I N D A ▲: First Giveaway! So it's been a week and some of you had been giving me ideas of what to get for the giveaway. Looked through and considered them and decided that I'm gonna be giving out something really popular right now. Can anyone guess what is it? Not sure if anyone guess it correct, but let me just pretend that you did. I mentioned that I want someone special and personal to give but haven't any idea. 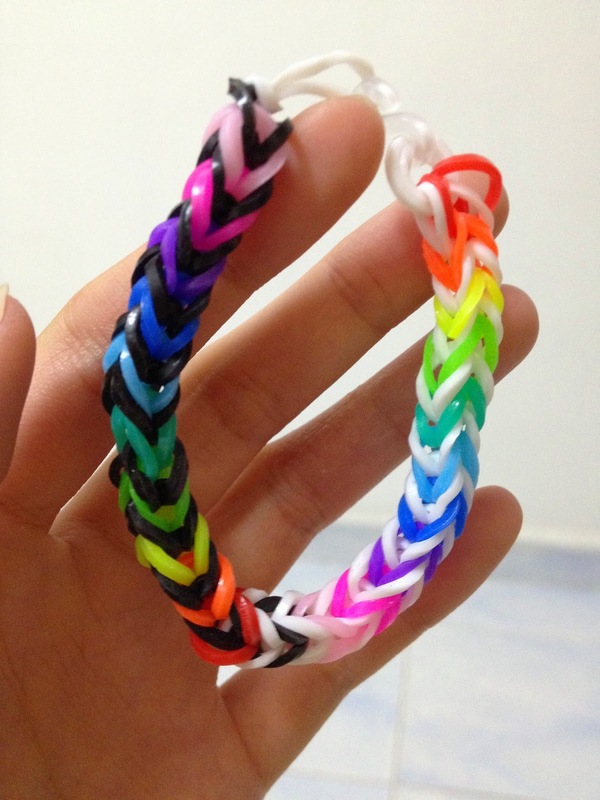 Then suddenly I saw this box of loom band making thingy in my room and thought hey why not DIY? 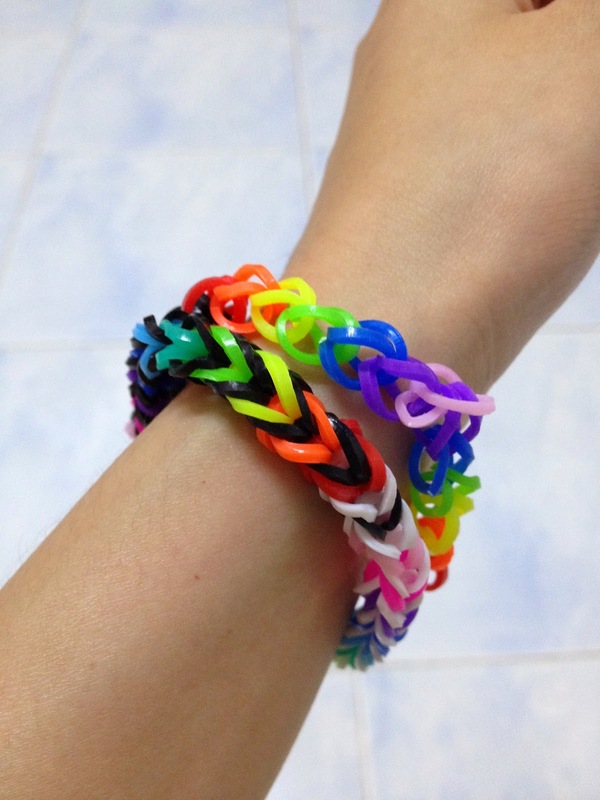 Anyway, as I was saying, I thought of personalizing loom bands cause 1st, it's really popular now, 2nd, it may seem small and cheap and meaningless but it's my heart.... omg that's so cheesy, euw, but you get what I mean. 3rd, it's unisex! So yeah. I'm rambling again. Ok, so for my first ever giveaway, 4 loom bands will be given away. I'll be choosing two winners and each person will be getting one fishtail loom band and one single loop loom band with the colour of your choice! Giveaway ends on 11:59 PM, 31 August 2014. T&C: Open to Malaysia and Singapore only.